Bad news for heavy marijuana users: You're probably messing with your brain. A new study links casual pot-smoking to changes in the brain, particularly in the regions related to motivation, decision-making, and emotions, among people ages 18 to 25. The weed users in the study smoked, on average, six joints a week — which doesn't sound all that casual to us, although the researchers referred to it as such. Oh, and there's more bad news: the more the participants smoked, the larger and more evident the changes to the brain, according to the study. The research was co-funded by the National Institutes of Health, Northwestern Memorial Hospital, and the Office of National Drug Control Policy (cue conspiracy theories). And the study's findings are important because they're the first to show a direct link between what they call "casual" marijuana use and major brain changes. Among the young adults who smoked regularly, the nucleus accumbens was bigger. That part of the brain has a role in decision-making, motivation and reward. The researchers also found changes in the structure of the amygdala, which plays a large role in processing emotions. The study didn't show that the changes were necessarily detrimental or permanent, nor did it look at the relative impact marijuana has on the brains of less regular smokers. Two separate groups were tested among the 40 participants in the study. The first group smoked at least once a week with a median use of six joints, and the second group said they hadn't smoked in the last year. The 20 people in the non-smoking group also reported smoking fewer than five times in their life. Dr. Hans Breiter, a researcher at Northwestern University's Feinberg School of Medicine, told NBC News that the findings gave the study authors "significant pause" and indicated a need for more research. Any time you find there’s a relationship to the amount of marijuana consumed, and you see differences of core brain regions involved in processing of rewards, the making of decisions, the ability to assess emotions, that is a serious issue. There's a big gap in marijuana use between the two groups studied, though Fox News gleefully threw the word "casual" in its headline. It's worth pointing out that "casual" marijuana use means different things to different people. 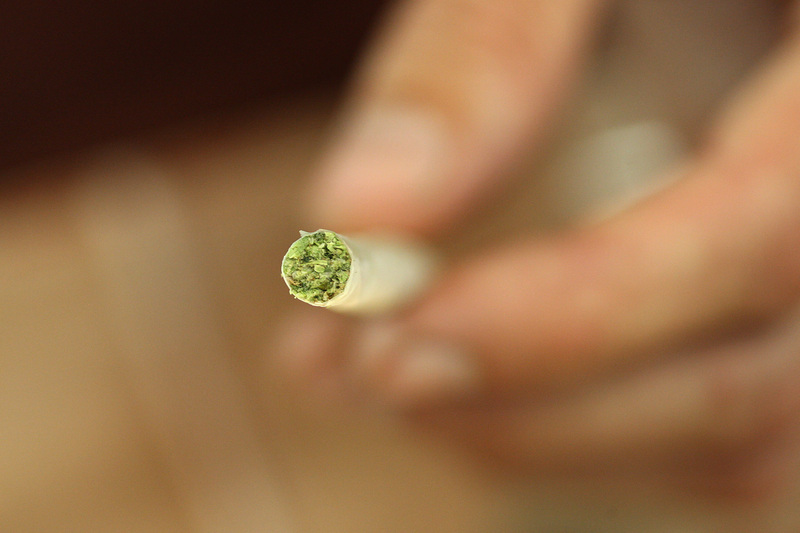 But if this study is any indication, smoking six joints a week might be pushing it.